Should you let them ride? Horse people are by nature kind and generous people. We are passionate about our horses, and want to share our passion with friends and relatives. With spring and summer comes the arrival of houseguests, many of whom will want to see and ride our horses. Some of us are lucky enough to have our horses and other livestock at home, where it is especially tempting to introduce them to visitors. However, in this modern age of lawsuits and liability, what practical considerations should we have about guest riders? When guests want to come out and ride our horses, we seldom think about the risk that our horses could injure or even kill them. Often, our guests have never seen or ridden a horse before. They have no idea just how powerful and dangerous our gentle pets can be, and they don’t know anything about the safe horse handling that’s second nature to us. Usually, guests come to visit wearing shorts and sandals, or other attire that isn’t safe for riding. Even our 30-year-old retired gelding could take a funny step and unseat a rider. Horse-related injuries also tend to be severe, such as broken bones and head trauma. What should you do before your guests arrive? First, check with your homeowners’ insurance to see if it would provide any protection for you in the event that a guest is injured. If so, find out how much coverage it would provide, and what exclusions apply. Consider obtaining a horse owner’s liability policy to provide supplemental coverage. In addition to insurance, ask your attorney to draft an appropriate liability release form and have your guests to sign it. Be sure to remind your attorney that some of your riding guests will be under 18 and therefore your release should be appropriate for a parent to sign. 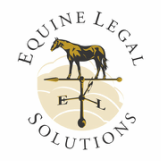 Ask your attorney if your state has an equine activity statute that can help limit your liability. Some equine activity statutes require certain language to appear in your release and/or certain warning signs to be posted on your property. Before your guests arrive, let them know that if they want to ride, they will need to wear long pants and hard soled shoes or boots with a heel. You will also want to talk to any parents who won’t be present during their child’s visit. Provide an appropriate safety helmet, and make sure that it is properly fastened. Upon your guests’ arrival, go over basic horse safety before you head out to visit the horses – make sure they know where to stand, where not to stand, and where to pet a horse. For non-riding guests who just want to come and watch or pet the horses, make sure that they also understand where to stand and what not to do. Demonstrate to your guests how to safely feed your horse a treat. For many guests, brushing a horse can be fun – give them a soft brush and show them how to brush in the direction of hair growth. Children often enjoy braiding a horse’s mane or tail and helping with fly spray, and they love to see what horses eat. The process of tacking up can be interesting for your guests, too, so as you go along, explain what you are doing and what different pieces of equipment are for. In an enclosed area, help your guests mount safely, and make sure that all tack is securely fastened and adjusted. Before moving away from the mounting block, show your guests how to stop and steer. For novice guests, walk the horse on a leadline until you are sure that your guests can effectively steer and stop on their own. If you have any doubts, keep them on the leadline. Keep guests at a walk unless they are balanced and confident enough to go faster. Remember that for someone who has never ridden a horse, just being on the horse’s back is thrilling enough! Only allow one guest at a time to ride, and stay on the ground so that you can properly supervise and help if they get into trouble. To give you greater control over the situation, put your guest rider in the smallest enclosed area you have available for riding, such as a round pen. Trust your instincts. If your horse really isn’t a “guest horse,” then don’t put him in that position. Seeing is believing – don’t turn any guest loose until you have personally evaluated their horsemanship skills. If a guest shows up without proper attire, insist that they borrow it from you (or not ride). If a guest doesn’t pay attention to your instructions or treat your horse with kindness and respect, you can end the ride. If your guest looks scared to death, you can gently suggest that it’s okay if they simply want to pat the horse or feed him a treat instead of riding. If you are having a party, take guests out to see the horses before serving drinks. Finally, don’t forget to help your guest capture the moment – take photos or video, and send it to them afterwards as a momento of their visit. Children especially enjoy wearing cowboy gear and other trappings, so if you have them, get them out for the photo session (but leave the spurs off during the ride! ).